The safety of your family and property matters a lot, especially in the event of a fire outbreak. 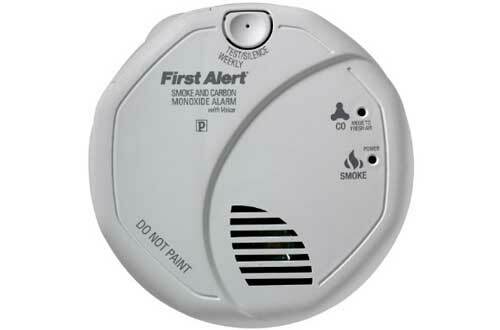 Therefore is important that you protect them by installing the latest models in smoke & carbon monoxide detectors. Getting the right model will give you peace of mind wherever you are; whether at home or at work. It will also save you from the nuisance of false alerts. Below is a list of the best models that will act as a guide during the selection process. 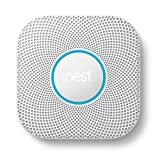 Get alerts wherever you are with this advanced smoke and carbon monoxide from gas and fire leak. It is designed to work in all fire situations. It has a detection range of 20 feet and an angle coverage of 120 degrees. 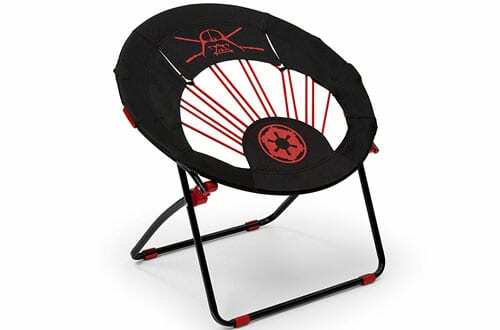 It features Wi-Fi connectivity that enables it to pair with your Smart Phone. In case of any fires, it sends an alarm alert direct to your phone. It further indicates the type of danger and the affected location. This detector has a long operation life of up to 10 years. This is a lightweight sensor that is specifically designed to detect the presence of smoke & carbon monoxide. It has a separate alarm for each function. However, they both sound an alert in case of any detection. The detector is powered by a 9V battery that has the capacity to last a whopping 8760 hours. The battery comes with a backup feature that enables the detector to continue operating in case of power failure. The detector is backed by a 7-year limited warranty. This detector is designed to be compatible with all KN-COSM-IBA series. 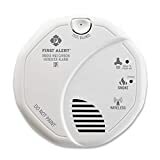 Whenever it detects dense smoke or carbon monoxide, it emits a red LED flash and triggers 3 alarm beeps that are accompanied by a voice warning. In case of light smoke, it produces a green LED flash at 2 seconds interval for 10 minutes. It features a test and reset button for added convenience. The detector has a battery backup that keeps it running in the event of power failure. It comes with a 10-year limited warranty. SCO5CN features a 2-in-1 design: a carbon monoxide sensor and a smoke sensor. 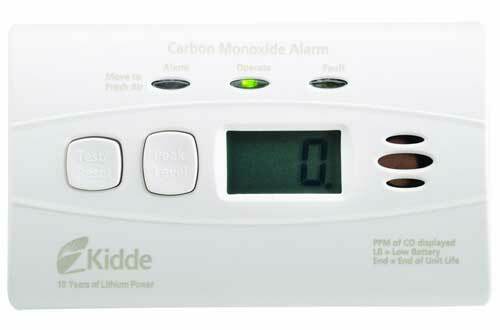 The carbon monoxide sensor utilizes the latest electrochemical technology to provide great accuracy. 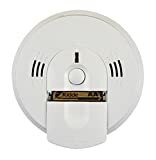 The smoke sensor, on the other hand, makes use of an advanced photoelectric detection technology that eliminates any false alerts. The detector produces both light and sound alert. It generates 85 decibels sound alert that can be heard from anywhere in the house. This detector is backed by a 5-year limited warranty. 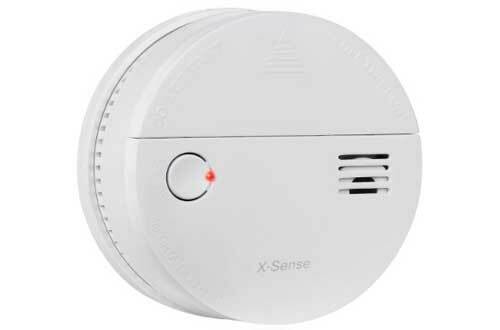 X-Sense DS51 is a battery-powered device that detects the presence of carbon monoxide or smoke. 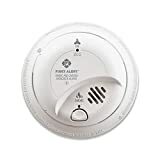 The smoke sensor is equipped with one of the latest technology; photoelectric sensing technology. This enables you to get an early warning in case of a fire outbreak. It features a test mode so that you can know whether the detector is functioning properly. The detector has the ability to automatically reset itself. It produces an alarm alert of 85 decibels. 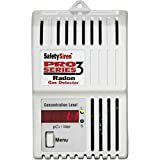 Protect yourself and your family against harmful gas with Safety Siren gas detector. It comes in a stylish design with a user-friendly LED screen that displays the readings taken. The detector displays all readings, both long term, and short-term. It updates the air sample on an hourly basis. It triggers an alarm alert in case the air reaches a concentration level of at least 4 pCi/L. The detector conducts an automatic test after every 24 hours. This wireless detector is designed to work with Z-Wave systems. 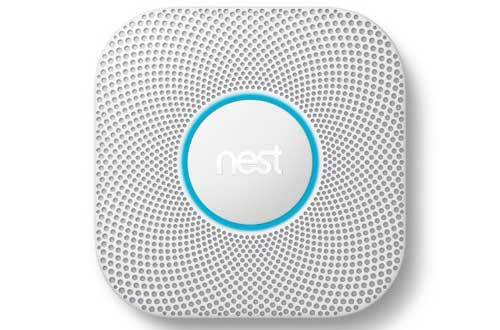 It incorporates both clouds of smoke as well as carbon monoxide sensor. The detector can be installed on a wall or ceiling. It can be paired with your Smart Phone so that you can get alerts from virtually anywhere. The smoking sensing feature is equipped with photoelectric technology to prevent any chances of false alerts. The detector sends alerts in form of sound and email. Want a detector that can service you for a whopping 10 years? 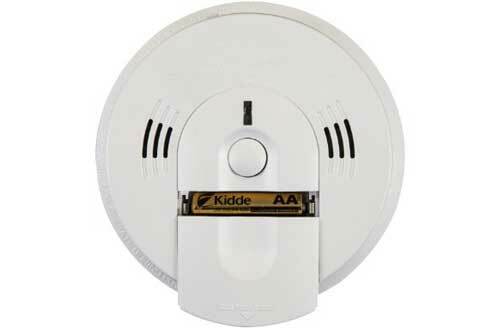 Well, Kidde C3010D is the device to go for. 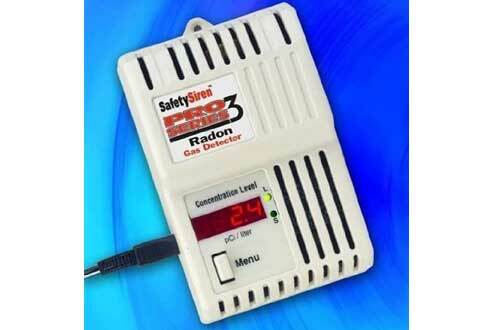 It is designed to detect the presence of carbon monoxide. It features a test mode and a reset button to guarantee maximum performance. The detector activates itself once mounted on a bracket. It produces a green LED flash at 30 seconds interval. 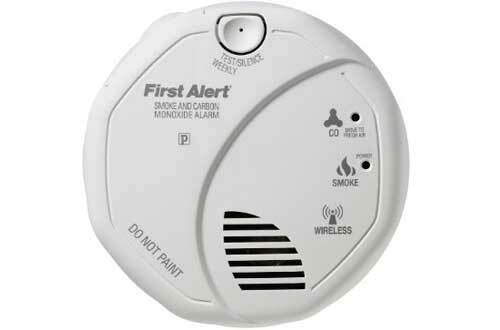 When it detects carbon monoxide, it generates a red LED flash that is accompanied by a loud 85 decibels alarm alert. 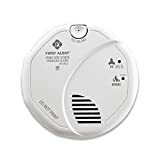 Get an early alert in case of any fire outbreak with Jarden SC7010BV detector. 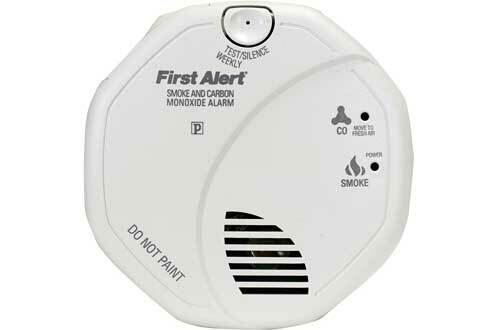 It is designed to detect smoke & carbon monoxide at the early stage. Unlike traditional detectors, it lets you know the kind of danger as well as the affected location. It does this by sending voice and alarm alerts. 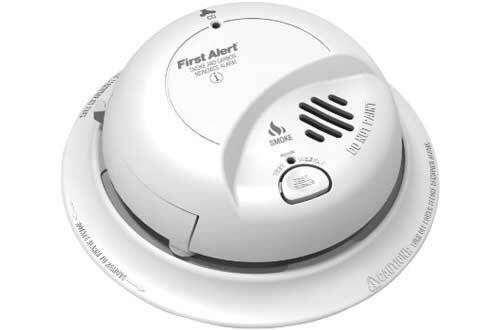 It features a reset mode and a silence button that eliminates any disturbances from false alarms. The detector runs on powerful batteries that can last for up to 8760 hours. This detector provides a more economical way of detecting fire hazards. It comes as a pack that comprises of 6 units. 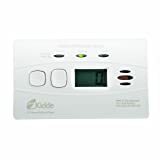 It eliminates the need of purchasing separate units when it comes to smoke & carbon monoxide detection. 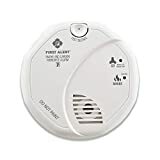 It gives both alarm and voice alert regarding the type of danger. The detector can easily be reset once the danger has been eliminated. And whenever the battery is low, it sounds an alert so that you can replace it in time.